Have you been accused of bankruptcy fraud in Florida? Are you currently under investigation for bankruptcy fraud by the IRS or the U.S. Attorney's Office? If so, you will face severe penalties if convicted, including imprisonment in federal prison and heavy fines. If suspected of bankruptcy fraud, you will face an extensive investigation by the IRS (Internal Revenue Service) and prosecution by federal agencies. This can easily disrupt your life and result in damaging consequences to your reputation, relationships and finances. Boca Raton bankruptcy fraud attorneys at Whittel & Melton are dedicated to providing clients throughout Florida with superior legal representation and one-on-one attention. Our attorneys are former prosecutors who now dedicate their careers to criminal defense. We have the advantage of a broad understanding of criminal law as it relates to prosecution and defense --which gives our clients an edge in the courtroom. At the Law Offices of Whittel & Melton, we provide aggressive representation to clients throughout Florida who have been accused of bankruptcy fraud. 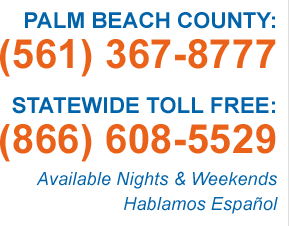 Local: (561) 367-8777 or statewide, toll-free: (866) 608-5529.